For many, the idea of hiring an online nutrition coach is far-fetched. A nutrition coach, surely I can’t afford that?! And, for a long time at least, this was true: having a personal fitness trainer or an online nutrition coach was the preserve of CEOs and Hollywood celebrities. Fortunately, however, with the recent boom of the UK fitness industry, such services have proliferated, catering (literally) for all budgets and requirements. With that in mind, surely now the question becomes, why would you want an online nutrition coach when there are so many personal trainers doing the same jobs while based in gyms? 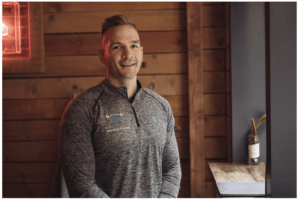 Here at Online Fitness Business, we know the benefits of moving fitness and nutrition coaching from face-to-face to online platforms. But what about the client? Well, think about it. Having your meals planned remotely, but maintaining personal contact with your online nutrition coach through apps, email, social media, and Skype, saves you time, money, and still means you’re receiving round the clock expert advice. Now, you may be sat there thinking: fine, but if I can’t go to my local gym and talk to the trainers there personally, how am I supposed to know who the best online nutrition coach is for me? Below we’ve compiled a list of the best online nutrition coaches offering services to UK residents. Whether you’re on a budget, looking for vegan meal plans, or have a specific goal in mind, we’ll have an online nutrition coach who can match your needs! Areas of Specialty: Online nutrition coaching for muscle gain, fat loss, and performance. Areas of Specialty: Fast-track Body Transformations, Unique Plans and goals. What they say “I believe my service was recommended due to the high levels of support I provide to each and every client, coupled with the sheer number of clients who’ve successfully transformed their physiques. 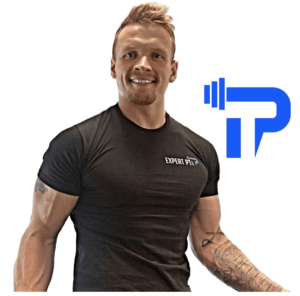 “I help clients achieve amazing results by creating a Bespoke Training and Nutrition Plans based on the individual’s lifestyle and fitness goals. All my plans, either face to face or as an online nutrition coach, utilise proven results-driven methods. 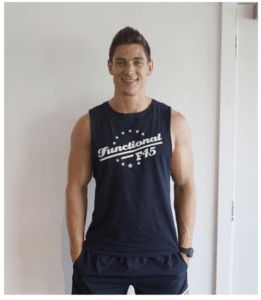 “The fun doesn’t stop there though: each week I’ll send the client a feedback video where I assess both their nutrition and training and outline areas where they might need to improve, areas where they have smashed their goals, and what the focus will be moving into the following week. This ensures they’re are consistently moving forward. 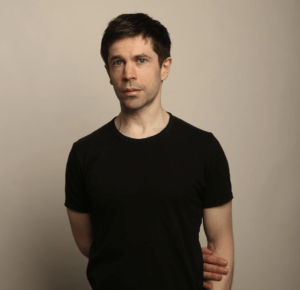 What they say: “As an online nutrition coach and personal trainer, I think my services were recommended as I have the personality of a perfectionist. I am always striving to learn more and be the best I can be for my clients. I go the extra mile with each and every one of them, trying to find out as much as I can about their lifestyle and limiting factors so that I can coach them from where they’re at to where they want to be. I don’t automate services and don’t send out cookie cutter plans. Areas of Specialty: Fat loss, Muscle Building, Macro Tracking and analysis. What they say: “Compared to other online nutrition coaches, I feel my services were recommended because the focus for me is always around the detail in the level of service offered to the client. “From point of first contact to the consultation process, right through to when the client stops working with me, I ensure care and attention is given at all times. 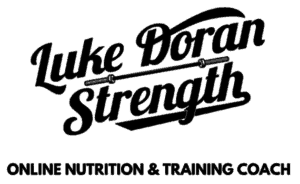 Areas of Specialty: Specialists in Nutrition Coaching, Sustainable body composition results. What they say: “We get results! 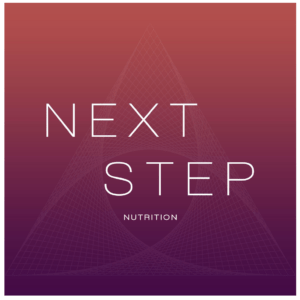 As a nutrition and online nutrition coach, I also feel that I have a deep connection with my clients, having personally walked in their shoes. Before becoming a full-time nutritionist in August 18, I worked the corporate life for 15 years so I can totally relate to the 50+ hour work week. As such, I don’t use a one size fits all approach like some other online nutrition coaches. Instead, I identify what methods will work for them and adopt my coaching to suit that. “One key area that I focus on, which is imperative with my type of client, is mind-set. They lead busy lives, so instilling good thought and behaviour patterns in them is crucial with regard to their success. Once they’ve nailed these, things become a walk in the park. What they say: “As a Nutrition Consultant, Online Nutrition Coach, and qualified Life Coach, I work with individuals to improve their relationships with food, often where they have suffered years from poor dieting techniques, eating habits, and misinformation from unqualified or inexperienced professionals. “There is a gap between health-based Nutritionists, who promote healthy living above all else, and fitness-based Nutritionists, who predominantly promote performance and/or aesthetic goals. I work to bridge that gap. “The danger within the fitness industry is that when all we focus on is physicality, we can lose touch of the big picture. However, when we pay attention to the mind and body, we thrive. So many people I work with have disordered eating habits, negative self-belief, and low confidence and esteem. No diet plan or training plan will fix this in the long term. “My coaching teaches people about becoming the best version of themselves from the inside out. My mission is to move people to a new way of thinking. I encourage individuals to broaden their horizons, to get creative, to be active, healthy and mindful, whilst removing the boundaries that we wear as armour. Areas of Specialty: Innovation in coaching approach, Body transformation. 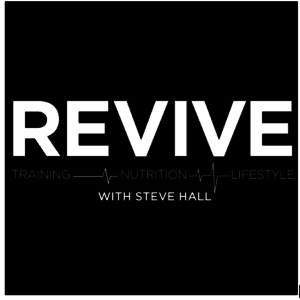 What they say: “We help people in a unique way to improve their health through daily nutrition and online nutrition coaching. We speak to our clients 7 days a week to support, listen, question, advise and encourage them. With over 15 years combined experience we know all too well that a strict meal plan simply doesn’t fit 99% of the population’s lives: people simply can’t stick to them. “Instead, we use a set of commandments to guide people’s food choices, but they can eat whatever they see fit with simple portion sizing. For the most part, people know what to eat, but they eat food or drinks that take them away from their goals for a plethora of reasons. As their online nutrition coaches, we help them uncover these reasons, find a solution that suits them and to eat nutritious food consistently. Areas of Specialty: Body composition, athletic performance. “Competence – Sigma Nutrition has thankfully garnered a reputation for being ethical, objective and evidence-led in its approach. 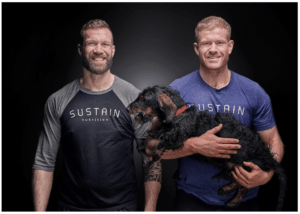 In addition, I think we’ve done a really good job of making sure everything our online nutrition coaches implement with clients is pragmatic. What is just as important as the science-based practice, is the effective communication and ability to distil ideas into actionable items for clients. This is what I see as competent coaching. “Economy – In this context, I use economy to describe our use of clients’ resources. Our coaching clients know that we won’t have them spend outrageous money on useless supplements or pseudoscientific testing. They know we won’t have them do things that unnecessarily waste their time. And we aim to fit our recommendations around their lifestyle and circumstances, not the other way around, hence saving them mental stress. 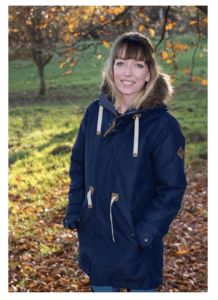 What they say: “As an online nutritional coach and personal trainer, I pride myself on keeping things simple which then removes a lot of stress. But here’s the thing, everyone, and I mean everyone, knows how to eat healthily. Everyone knows they should eat a large variety of fruit and veg, good quality protein, starchy carbs, and keep the treats on the down low. “This is why I invested with Mike Sweeney and I now use his Simplified Nutrition System within my coaching platforms. “My clients never need to track their calories or worry about hitting their macros because the system works everything out for them. All they need to do is, choose what they fancy (over 250 recipes), design a meal plan to suit their lifestyle, buy the food, eat it and then lose weight. If clients want to learn about macros I’ll teach them, but I find most people don’t care all that much. What they say “We strive to provide a truly personalised nutrition experience that is bespoke to our clients’ exact needs. Whether this is to help them achieve long-term sustainable results in health improvement and/or weight loss, or supporting athletes achieve remarkable levels of sporting performance. “By ‘truly personalised’ we really mean it. There are no ‘cookie cutter’ approaches and we listen to our clients’ exact needs. We cater our approach to these requirements whilst providing the very best coaching, support and accountability along the way. Also, because we’re an online consultancy, the client can benefit from our services and support worldwide, without travel, location, or distance being a barrier. What they say: “I believe my services to be of a high standard as all my clients are treated individually, and with a holistic approach to health and well-being outside of nutrition. 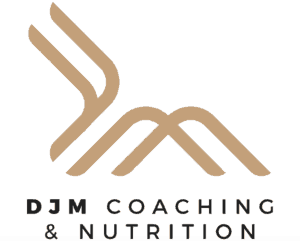 I use different approaches for each individual, my plans are bespoke and offer a level of empathy and work with many people who haven’t been successful with other coaches and online nutrition coaches in the past. I spend lots of time educating throughout the process and my clients enjoy their journey with me. What they say: “I’m extremely passionate about helping women break away from the endless diet cycle, and to help them finally lose weight in a healthy way that works for them. 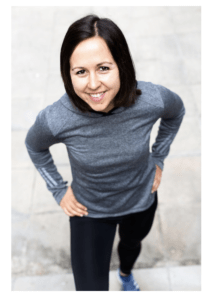 As a nutritionist and online nutrition coach, I empower clients to understand what works, create a healthy lifestyle that they enjoy, and achieve results that they can maintain for life. What they say: “I love to give people that personal touch. I work with all my clients to find out the real reason behind their decision to make a change. It’s only once I know this that I can then give them proper advice. “Nutrition can be so over-complicated and people need to know what works and what doesn’t for them. It’s only through coaching that people understand their own needs, and how their bodies react. Flexible – we are not dogmatic with our nutritional approach, we very much believe in a flexible dieting template. This does not mean we don’t provide our clients with any plan to follow. Instead, we work with them to find a plan that they will adhere to. This approach leads to far better results because our clients stick to their diet and don’t fall off. Detailed – we are big on data collection. That means macros, food composition, stress, sleep, energy levels, weight, circumference measurements, photos etc. As online nutrition coaches and remote trainers, data gives us a much clearer picture as to what is actually going on, because if you focus on just one of these it could give you quite a false impression. Education – at Revive Stronger we are not dictators, we are very much just there to guide our clients. If our clients have a question, we answer it, ensuring they know exactly why they are doing a certain protocol. We have found that the more a client knows the why, the better able they are to do the how. What they say: “I am one of the few, truly evidence-based online nutrition coaches in the UK. My online nutrition coaching is designed for busy people who want to lose the belly for good – without scaremongering, ‘magic’ diet products or baseless rules. 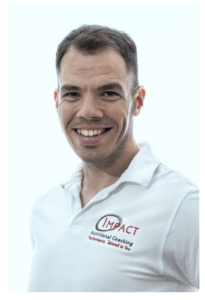 “I am passionate about using science to help people get the results they want. 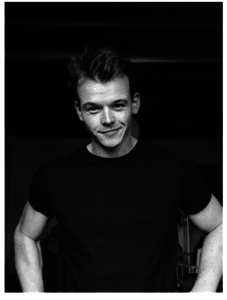 Friends joke that I look like Johnny Bravo and I’m from Yorkshire, so I’ll say exactly what I think: I like a pint and a packet of fig rolls as much as the next person – I’m definitely not perfect (do as I say, not as I do!) – but I’m truly passionate about health and fitness, and have every one of my client’s backs, unconditionally. As you can see, there are loads of amazing online nutrition coaches out there, all providing unique and specialised services to their clients. As a new personal trainer or nutritionist, you may be sat there thinking: there’s no way I could offer such a comprehensive service. The key is to take baby steps, and to have a long-term plan. 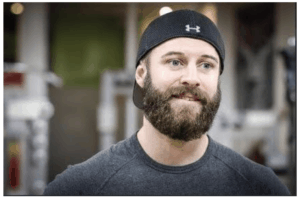 All the included online nutrition coaches on this list have one thing in common: they have invested in their online ventures, putting time and effort into making their resources as comprehensive as possible for their clients. For anyone at the start of their fitness journeys, our tried and tested course framework, encompassing copywriting, technology, business models, and marketing, gives new fitness professionals the head start they need to succeed in this competitive industry. 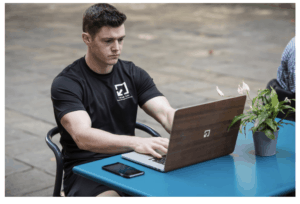 Have any questions about taking your fitness business online? We’d love to hear from you! 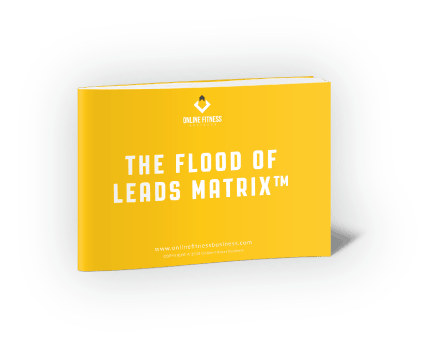 Get in touch today, or download our free guide to the power of lead generation. Were you featured as one of our Best Online Nutrition Coaches? Be sure to proudly feature our OFB Awards badge on your website to let your readers know!